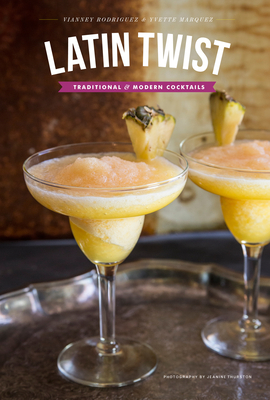 Latin Twist delves into the history of each country's special ingredients, wines and liquors, and includes traditional drinks as well as the authors' original recipes. Try a luscious Passion Fruit Caipirinha from Brazil, Chile's fruity Borgo a, or Peru's classic Pisco Sour. Whether you are hosting a holiday get-together or backyard fiesta, there is a drink in this book for every occasion. Clear instructions and gorgeous color photos make it easy to mix up a glass or pitcher of crowd-pleasing cocktails.